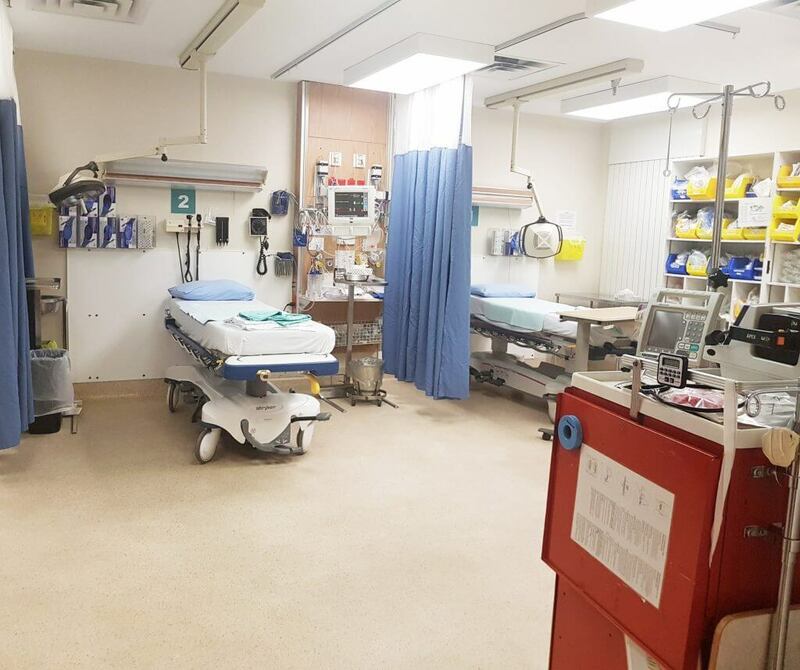 Stella Maris de Kent Hospital (SMKH), located between Bouctouche and Richibucto, is a vital component of the NB Trauma Program and a community leader in trauma. The small rural hospital serves a diverse population of roughly 40 000 residents. Physicians, nurses and other healthcare professionals at SMKH are active collaborators and are committed to providing exceptional, personalized care. The team at SMKH is interdisciplinary, and consists of emergency physicians, registered nurses, licensed practical nurses, a respiratory therapist and support from radiology and laboratory departments. Further, the collaborative community fostered at SMKH encourages ongoing involvement in care from paramedics, even after trauma patients have arrived at the hospital. Staff at this trauma centre remark a true sense of comradery shared amongst members of the team. Medical Director of the facility, Dre Isabelle-Anne Girouard, discusses the impressive team work in seen in their emergency department: “We may not have all the resources that larger hospitals have, but the team works together to find simple solutions to provide excellent, patient centered care.” Dre Girouard remarks that the trauma team is like a family, and this sense of family has manifested through truly efficacious teamwork, and occasionally bonding while being snowed in. Interdisciplinarity and comradery reign at SMKH. SMKH has embraced use of the Toll Free Trauma System to benefit those who are seriously and critically injured. The hospital is known for calling early for patients who may require a transfer, with calls made to the line most often in under an hour of arrival. 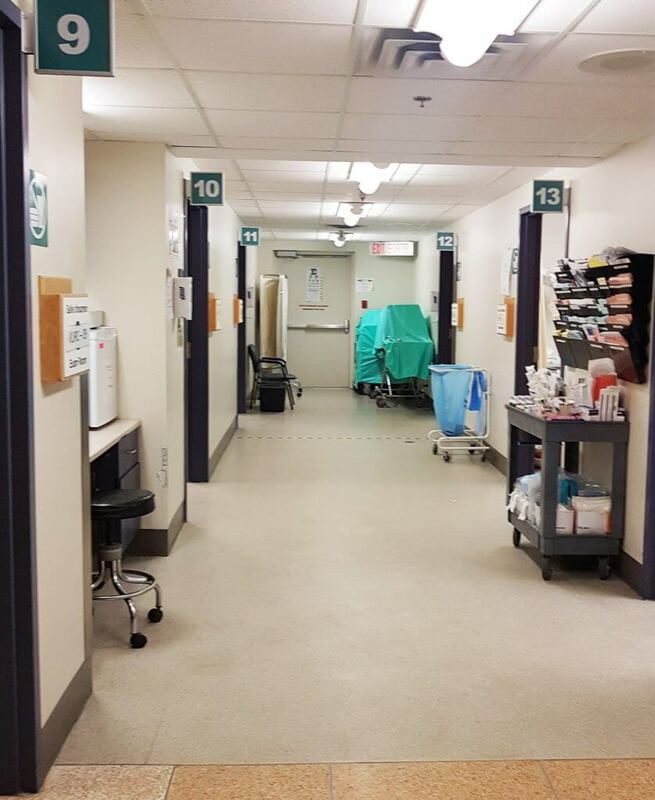 SMKH are keen participants within the New Brunswick Trauma Program, and take advantage of opportunities for improving patient care. A challenge that the emergency department had faced was lack of access to a portable x-ray machine. Through collaborative efforts between the New Brunswick Trauma Program, staff at SMKH, and leadership in Vitalité, a suitable portable x-ray device was able to be provided. For serious trauma, this means patients can have imaging performed without requiring them to be moved to a diagnostic imaging area. This is safer for the patient and more efficient in the process of arranging transfer to another centre. The population served by SMKH is both rurally situated and diverse. Elsipogtog, Indian Island and Bouctouche are all communities served by SMKH. Staff is cognizant that inclusivity in care is essential, and being mindful of culture is integral. SMKH provides cultural education sessions for hospital staff to enable them to provide the best possible care that is both evidence informed and culturally sensitive. Community engagement and family integrated care are visible in all facets of care provided by this centre. The team at SMKH is highly engaged in education. They’ve participated in the Rural Trauma Team Development Course several times with 24 staff members including physicians, nurses, paramedics and respiratory therapists involved. The clinical teams regularly participate in different courses geared towards trauma nursing practices, paediatric trauma care, and adult trauma care. SMKH may be a smaller hospital, but the impact of the care provided to their community is anything but. The importance of an inclusive trauma system is highlighted by centres like SMKH: Community driven trauma care in collaboration with a larger provincial system. The Trauma Team at SMKH is an integral piece to the Trauma Program, and a unique provider of exceptional care.